In Arabic Halima translates as ‘quiet one,’ but there’s nothing quiet about this lady’s expressive dancing and her dynamic troupe, Desert Gypsies. Halima has an exquisite “old school” style, that’s delightful and fun to watch. Her choreography is reminiscent of the 70s and 80s, preserving a sweetly feminine and classic aspect of Middle Eastern Dance. Last year at Spring Fest, her troupe, Desert Gypsies, almost stole the show with their colorful and exciting tambourine dance. Halima always maintains the integrity of belly dancing while surprising and entrancing her audiences with new dance fusion. Halima has studied with local teachers, such as Zahira, and nationally acclaimed one too. “My absolute favorite dancer is Suzanna del Vecchio. She is so precise. You can see every little movement, and there is such emotion on her face. 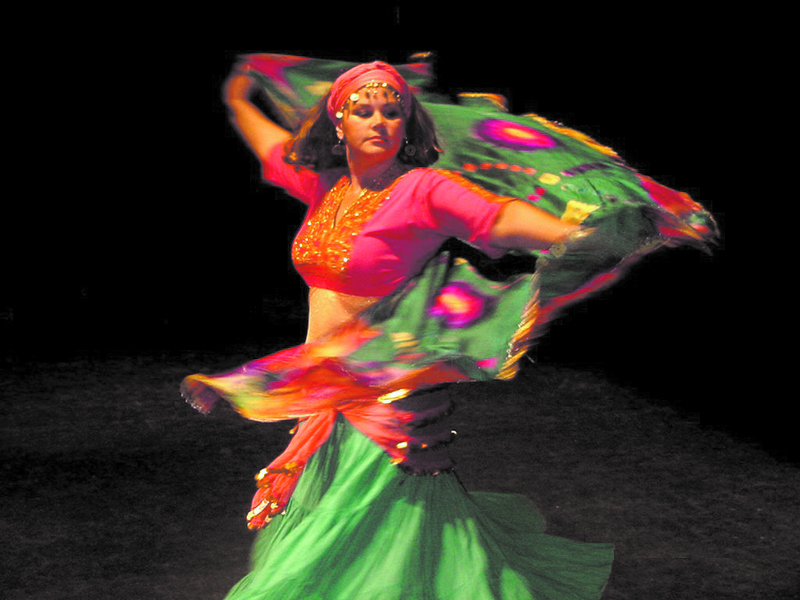 She doesn’t try to be a Middle Eastern dancer, she just is a Middle Eastern dancer,” Halima said. 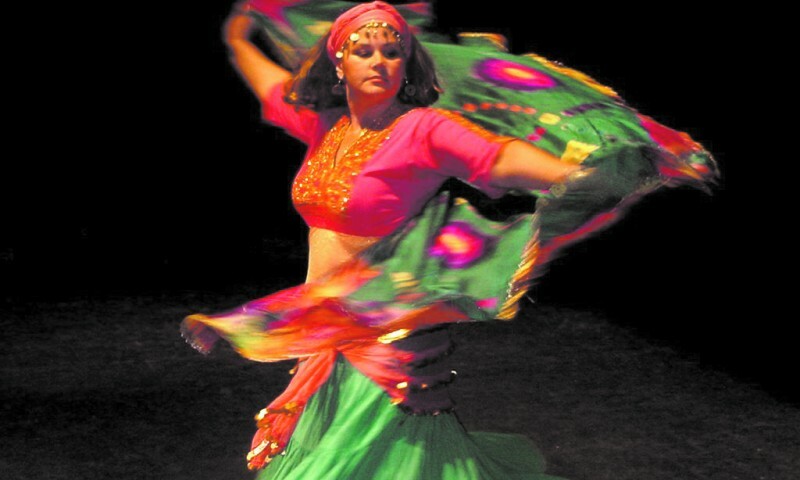 Halima is currently busy teaching a variety of classes and is the director of three troupes—Desert Gypsies, Gypsy Rhythms, and Gypsy Melody. “I’m focusing more of my energy on my troupes rather than solo performances. I love a group effort. I want my students to speak up and show me what they know,” she said. Halima and the Desert Gypsies will be performing at the Freedom Festival in Provo on July 4, the Utah Belly Dance Festival in August and Latin Festival over Labor Day weekend.